hopefully everybody looks at this lol. Steve pierce and i will be taking over this division this year. Only a few minor changes fellas as tom and andy did a great job. ALL TIMES ARE CHICAGO TIME THIS YEAR!!!!!! Money will be the same 60 dollars for tournament optional side pot of 40 dollars with side,pot to be 100 percent payout.. Same 2 day off limits applies... Steve and I will also,be doing the lake st claire regional which will be Sept 14th with rain date on the 15th. Im sure i have missed something but im sure Joey and jack will let me know if i have.... haha haha let the fun begin fellas Another great year on the Creek is complete. Congrats to Joe Schultz and Jack Neff on their AOY finish. These guys bring it every tournament and I am proud to have them in this division! ALL TOURNAMENT TIMES ARE IN EST. 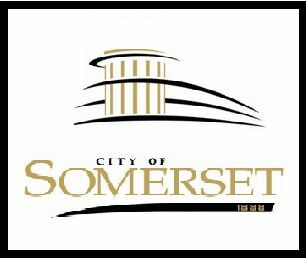 ***ATTENTION*** THERE IS A 2 DAY OFF LIMTS BEFORE EACH EVENT. STARTING POSITIONS WILL BE DRAWN FOR�IN THE ORDER OF SIGN UP THE MORNING OF THE EVENT. THIS WILL BE A $50 DIVISION WITH OPTIONAL $10 BB. Stray Casts Outdoor Cartoon Television is the glorified version of a Bass Fishing talk show. Interviewing the top Bass fishing professionals and personalities in the Bassin biz in a way that lets just say is a "little unconventional ". Streaming live every�Wednesday�night at�7pm�Central on�straycasts.net. 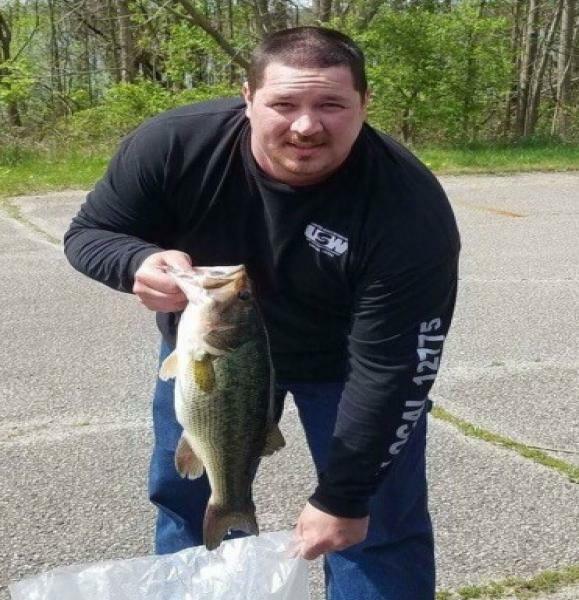 The 2018 season started off great with 5 fish weighed in over 4 pounds and 18 teams competing. Several teams did not have a limit but had the right ones just could not finish off their limits. Only 3 teams weighed in a limit. 1st place is Josh Rohl and Steve Coleman with 13.89 pounds. 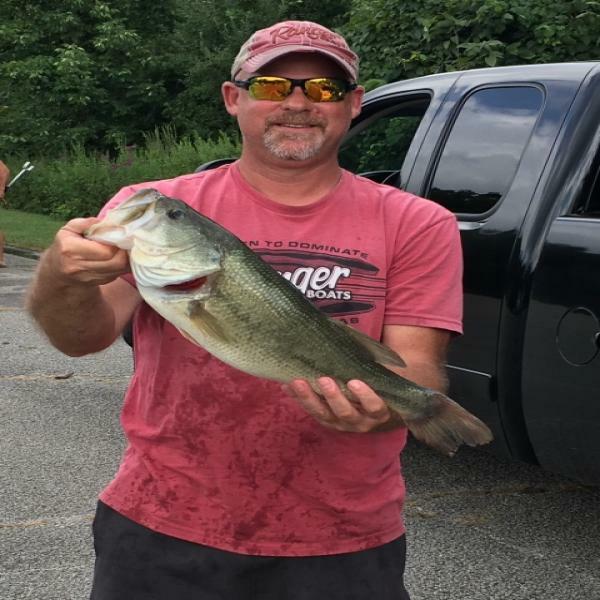 2nd Place was Mario Mills and Mike Konopacki with a 5 fish limit for 13.23 and in the last money spot was Jerry Fox and John Harper with 5 for 12.34....Big bass was 5.60 to the team of Mike Epler and Kenny Marrs jr...nice fish! Congratulations to Mario Mills and Mike Konopacki on their win, and with that win, the DIV30 AOY championship. The AOY race came down to this last tournament with 4 teams that could take the title. 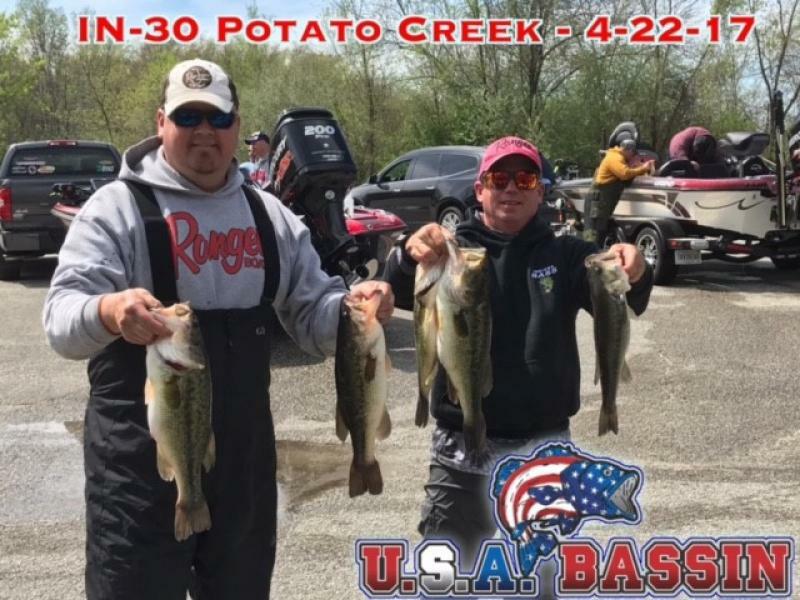 It was a difficult day of fishing with many teams struggling to find keepers but MIlls and Konopacki knocked it out of the park with a 13.85 bag for the win! I want to thank everyone who fished with us this year and am already looking forward to next year. Hoperfully I will see many of you at ST. Clair for the regional on 9-23. Mr. Jack Neff fishes solo for the win! Congrats Jack on a great victory. Even though the weather was cold and rainy 17 teams came out for our 2nd event of the year. Despite the weather the fish were really biting and Jack showed us that he is a veteran of tournament fishing catching his biggest fish right at the end of the day. Coming in 2nd was Steve Pierce and Rick Hill with a 5 fish limit for 13.20 and puts them in a solid lead for AOY. In the last money spot was Billings and Ellenberger with a 5 fish limit for 11.52. The AOY race is heating up so don	miss the next event on 6-10-17. We will be starting earlier on the next one so pat attention to the start times. Thank you to all the teams that came out. CONGRATS TO STEVE PIERCE AND RICK HILL ON THEIR 5 FISH LIMIT THAT WEIGHED 14.86 AND WON THE 1ST 2017 EVENT. 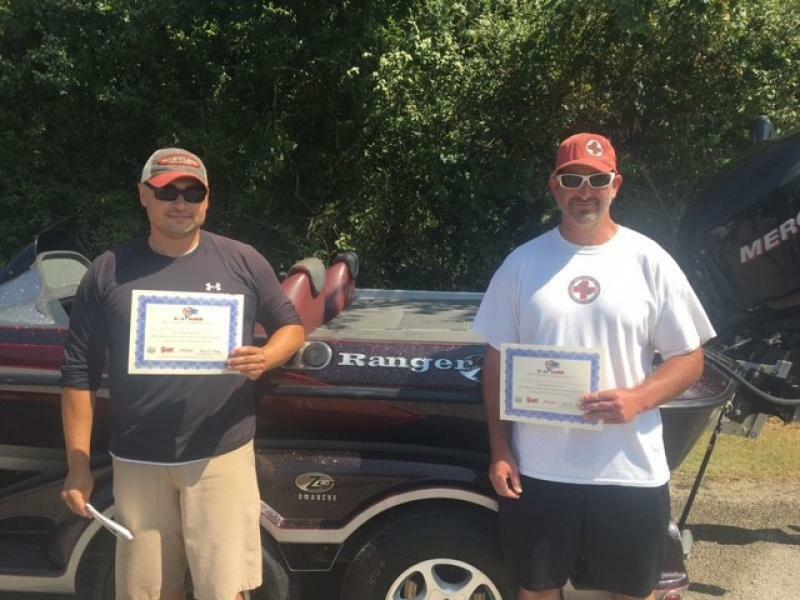 2ND PLACE WAS JASON FOWLER AND RON FABISZAK WITH A 5 FISH LIMIT FOR 11.12. 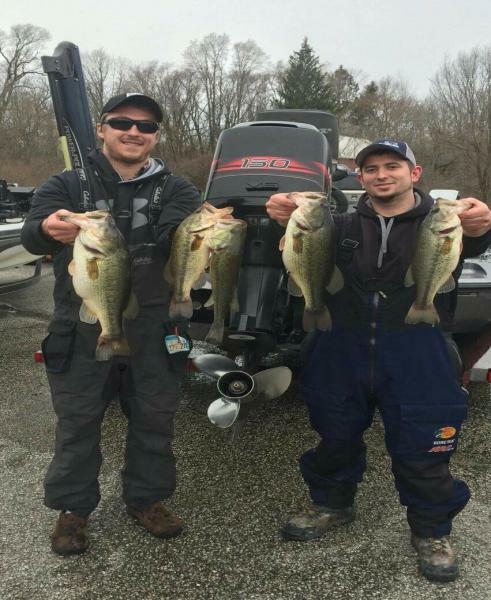 FINISHING IN THE LAST MONEY SPOT WAS JOHN HAMPEL AND PHIL STRAKOWSKI WITH A 5 FISH LIMIT FOR 10.91. THE BIG BASS AWARD WAS MIKE DERRICKSEN AND DOUD SCHACHT WITH A 5.88! THANK YOU TO THE 18 TEAMS THAT CAME OUT IT WAS A GREAT EVENT AND WE LOOK FORWARD TO SEEING YOU ALL BACK ON 5-20-17. 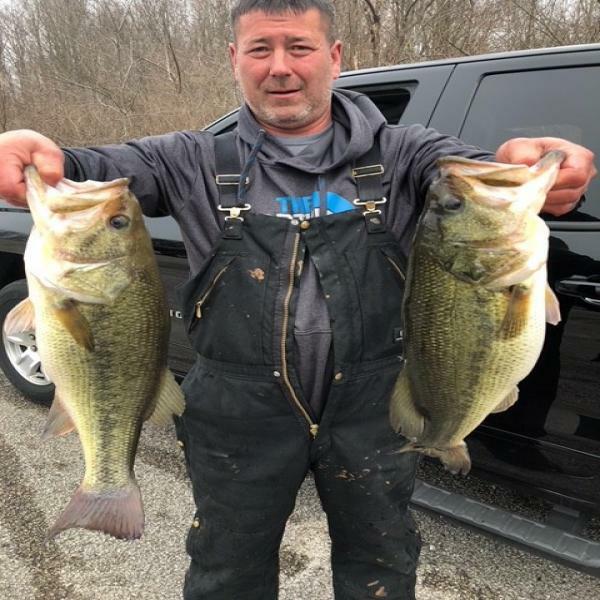 PIC OF WINNER AND BIG BASS ARE IN THE PHOTO SECTION. Andy and I would like to thank all the teams that fished this year. It was a great time with a lot of good competition. We had the largest bass weighed in this year that I have ever seen come from tater 8.73. Looking forward to next year already. Good luck to all the IN 30 division teams in the regional! The 2nd event of the year was met with beautiful weather but terrible fishing! Rumor has it that the� lake was sprayed earlier in the week and the reason for the tough bite. Many teams struggled to find a single keeper. Bringing the only 5 fish limit to the scales was Billings and Ellenberger their weight was 7.46 and good for 1st place. 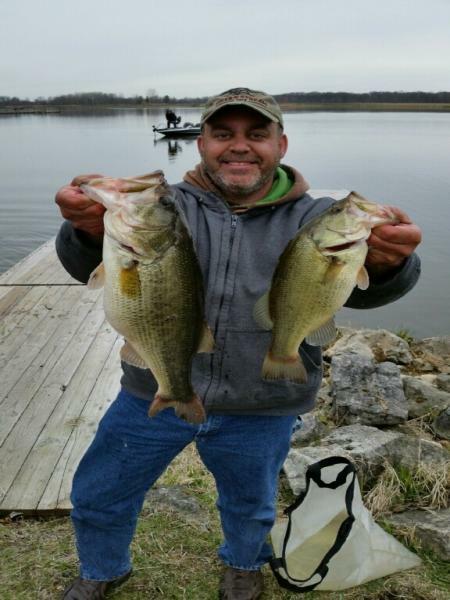 In 2nd place was Joe Schultz with a 4 fish limit for 6.92. 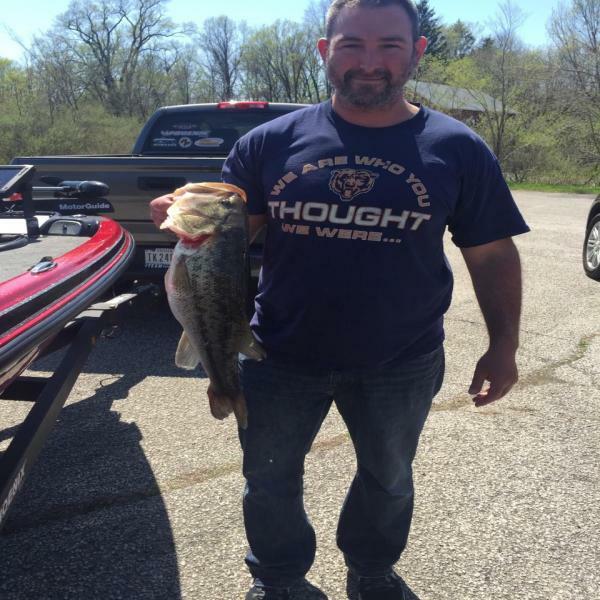 Once again the big bass award went to John Hampel who brought a 4.67 to the scale. Thank you to all the teams that came out we are looking forward to the next event. Remember you have to fish 3 events and get 250 point to qualify for the regional. With only 3 remaining events in this division missing is not an option! In addition to qualifying is the division AOY which will get a chance to fish the Lucas Oil TOC during championship week...this is a free tournament for the divisional winners and 1st place is 10k. Our first event of the year turned out to be awesome with many teams finding some really big fish. The weather was just right for those big fish to start moving up and many of the teams found a big kicker fish. 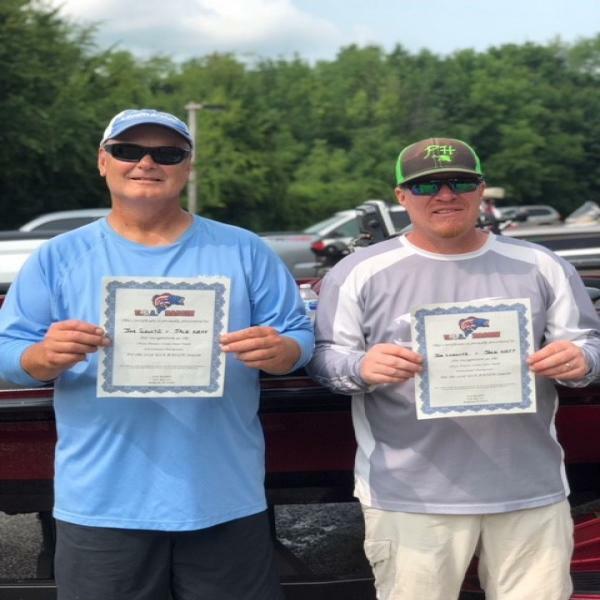 Leading the event was Mario Mills and Mike Konopacki who had two nice kicker fish to fill their winning weight of 14.33 lbs Nice job guys and happy birthday Mario. In second place was Hampel and sub Jason Fowler. 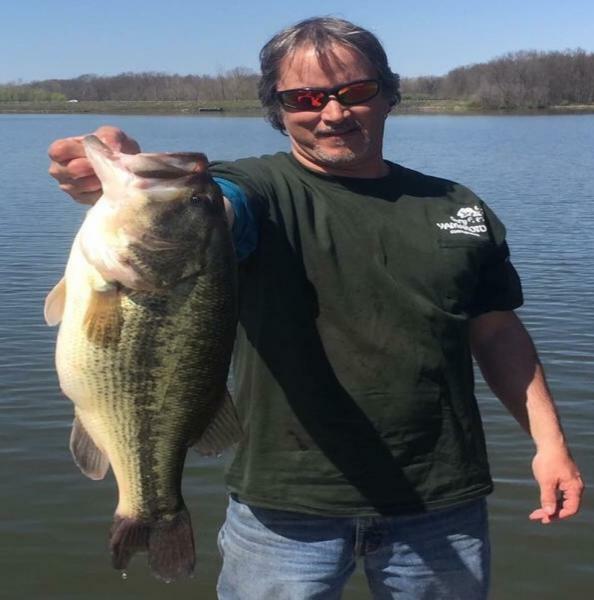 John �landed a new record BB at 8.73 a true Tater HOG!!! Our next event will be 5-21-20-16 and we look forward to seeing everyone out there. Andy Cibak with 2 of the right kind!